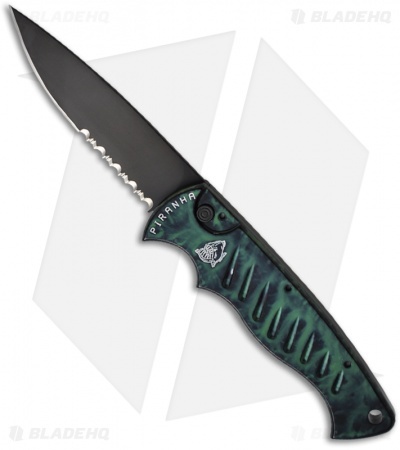 This Tactical Pocket knife features a black DLC finished blade with a partially serrated edge. 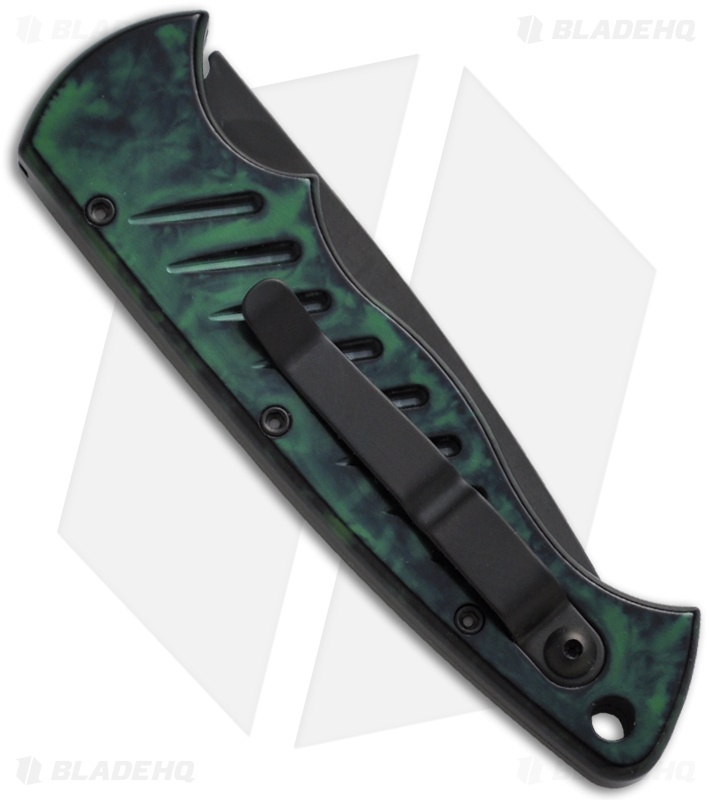 The aluminum handle is green marble anodized and features black hardware and pocket clip. The Piranha P-1 Pocket series is functional and stylish with a good feel. The 154-CM blade is drop-point styled. It opens with a commanding kick and locks solidly into place. The lightweight 6061-T6 aluminum handle is hard anodized and features recessed grooves for added gripping power. Also, the knife is very thin which makes it quite comfortable for pocket carry with the titanium clip.